You know, besides 10 rotating varieties of dal. Quick---which is the shy chef? The gregarious frontman? 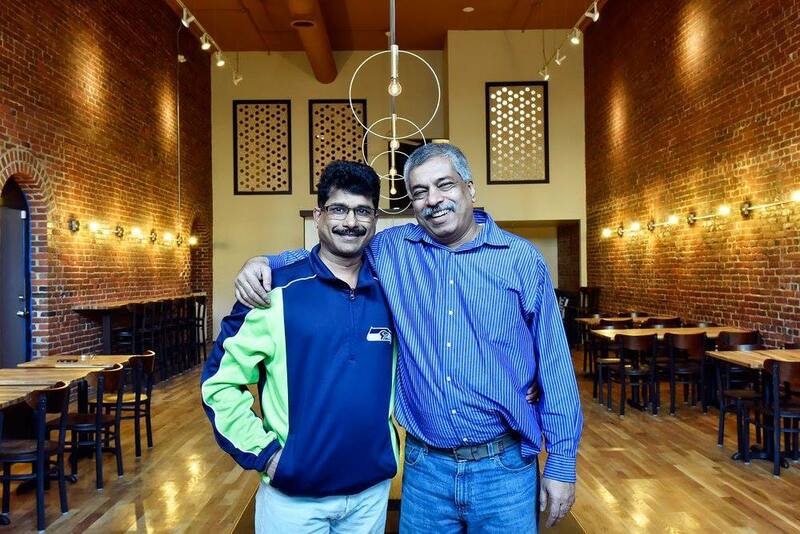 Seattle’s long been famous for its dearth of Indian food, so when a name chef from Mumbai, Nirmal Monteiro, opens a restaurant in the heart of Pioneer Square—a splash will be made. The 5 course lunchtime Thali platter at Nirmal's. 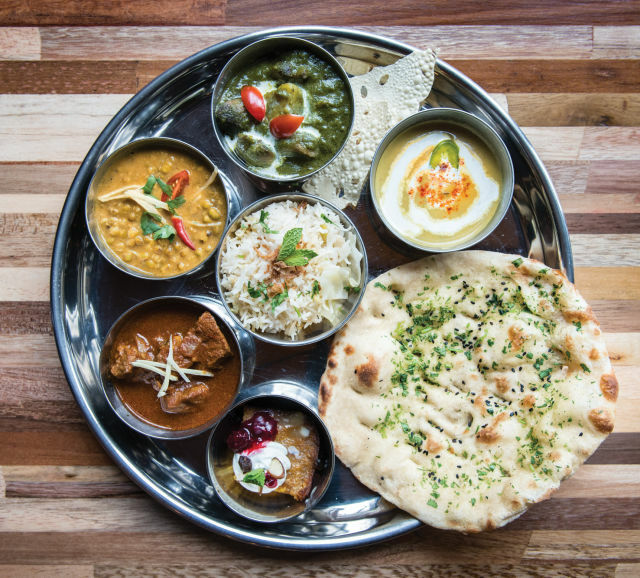 As I write in this month’s review, Nirmal’s offers elegant quarters and carefully rendered pan-Indian food—tandoori from the north, Goan curry from the south, dishes from myriad points between, both lunch and dinner. Monteiro rotates through some 10 varieties of dal, the spiced legume porridge that might be made with pinto beans one day, lentils the next. Mine came as part of a five-dish thali, the small-plates-on-a-platter style of dining unique to India, and it was rich and beany, full of chickpeas and black-eyed peas and memorable moments of lemongrass. It was but one of many spot-on dishes that day. “None of this happens without my wife,” he says happily. Still, a visit to the restaurant shows that a good deal of the magic of Nirmal’s wouldn’t happen without her husband. Oliver Bangera is a frontman for the ages—a seasoned restaurateur whose hearty sincerity and warm welcome extend to every diner in the place, as he works the house in full Thierry Rautureau mode. “We want people to feel like they’ve come home,” he says with feeling.